If you or someone you know is recovering from illness, surgery or invasive treatments of some kind, take a moment to be mindful of their journey. Send a card, make a call or simply hold them in your thoughts and prayers. Just catching up, love your postcards. 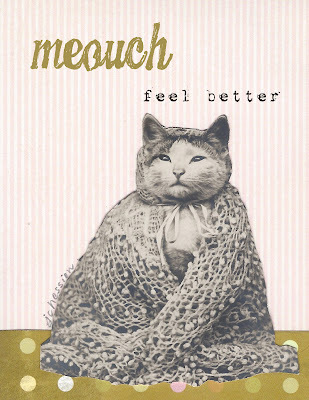 I hope you are fit and well, unlike a certain cat. Fall has been bumpy here, crossing my fingers that this week we settle into a comfortable groove. I always feel better after a visit to your blog.